Turkish artist Mehmet Ali Uysal (whose lawn-pinching clothespin sculpture Ten/Skin you may be familiar with) created this fun installation (or is it more of a disinstallation?) 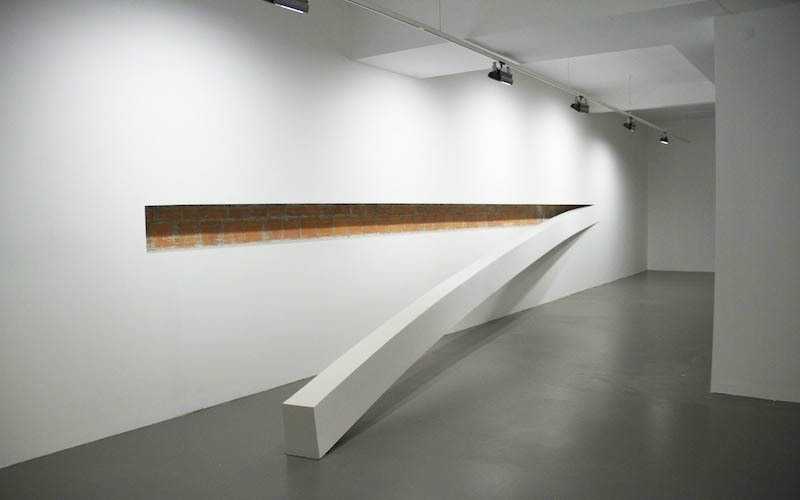 where he transformed the white walls of the Nesrin Esirtgen gallery in Istanbul into his artwork. 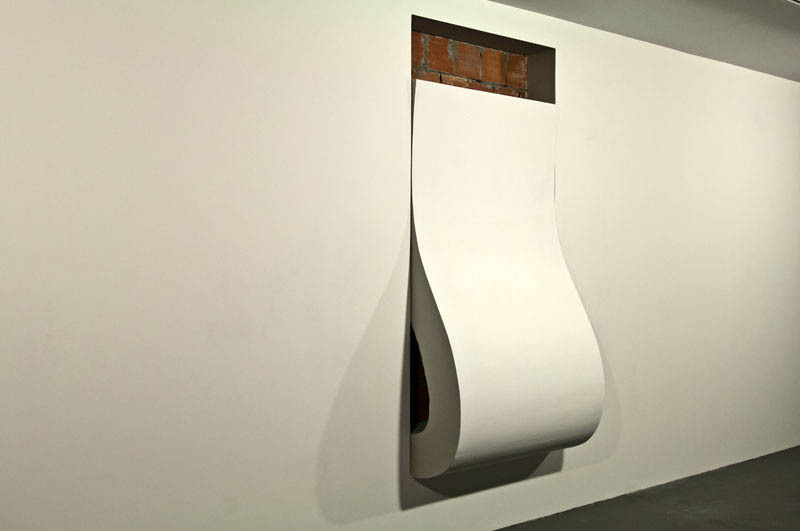 Peel, as the exhibit was called, seemingly cut into the walls of the space and, well, peeled the gallery ‘skin’ away in slabs that bent, slouched, and recoiled from the walls. Love it.